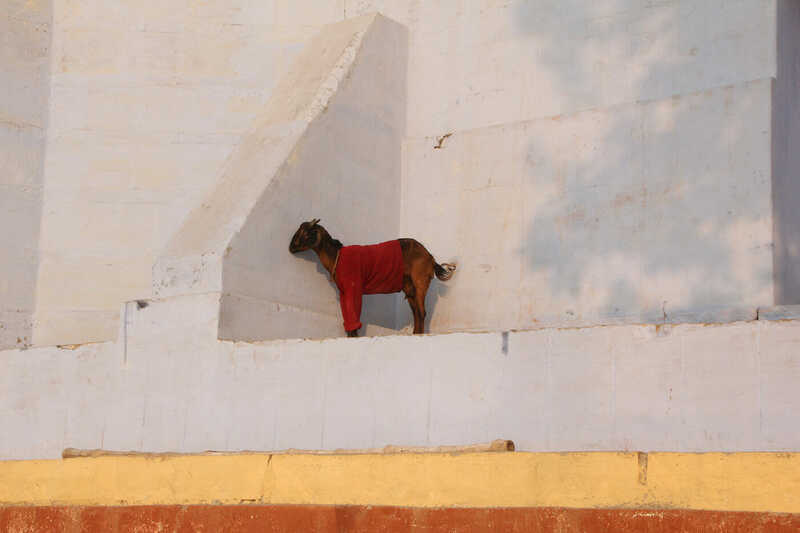 Well, strictly speaking, Gorlizki didn’t just take pictures of goats in sweaters. 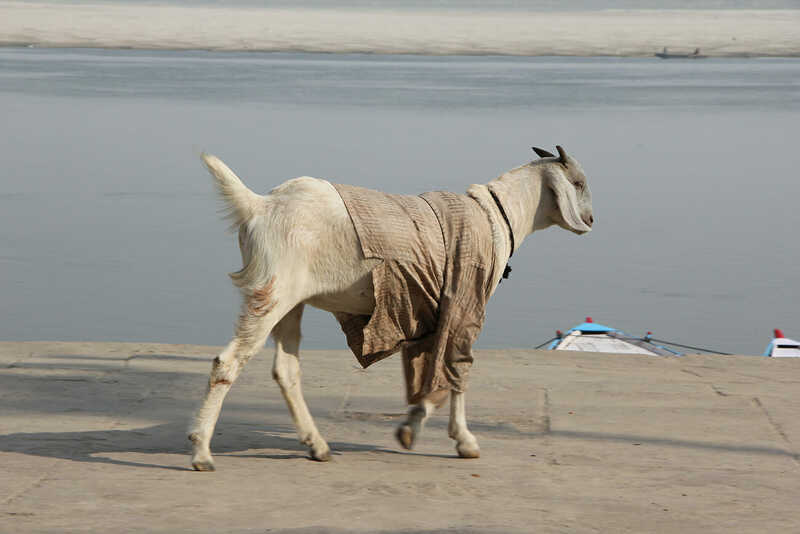 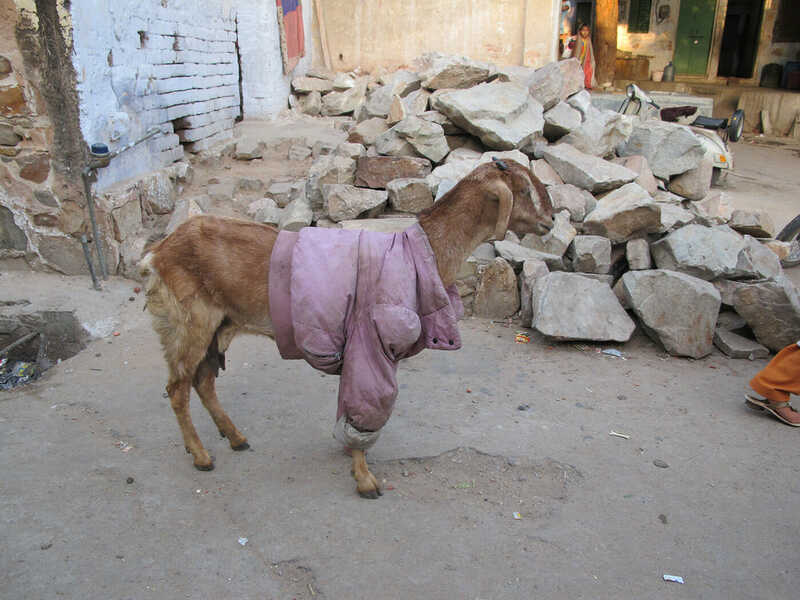 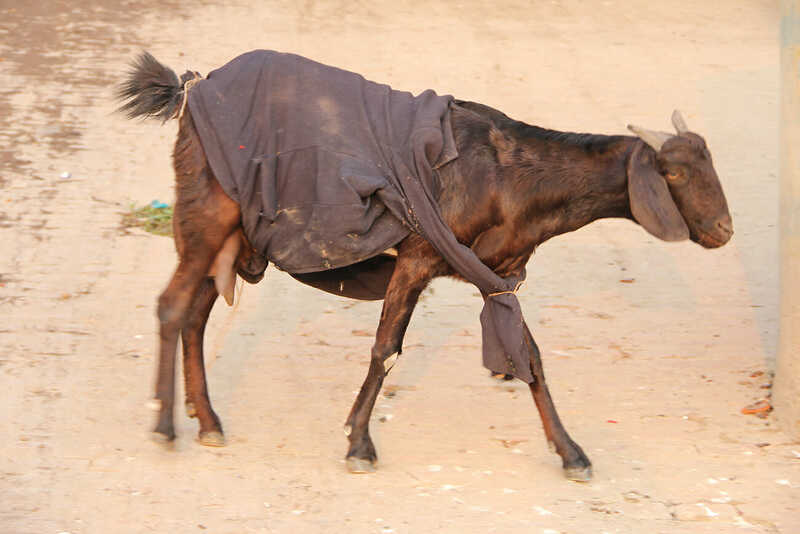 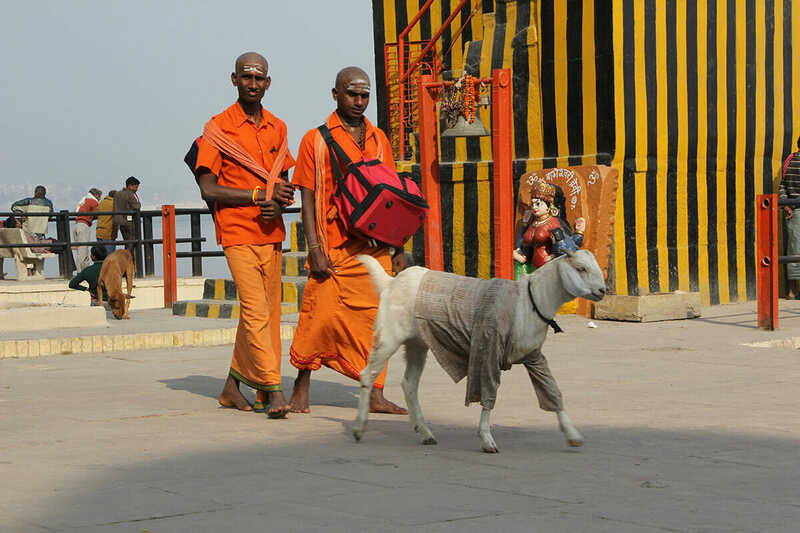 He found goats in burlap sacks, pants, fabrics of all kinds. 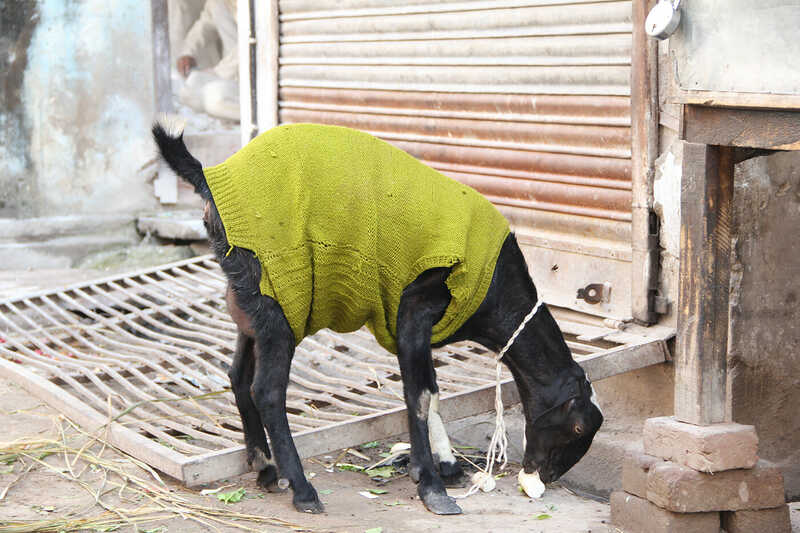 But while the goats are undeniably stylish (look at these cuffs! 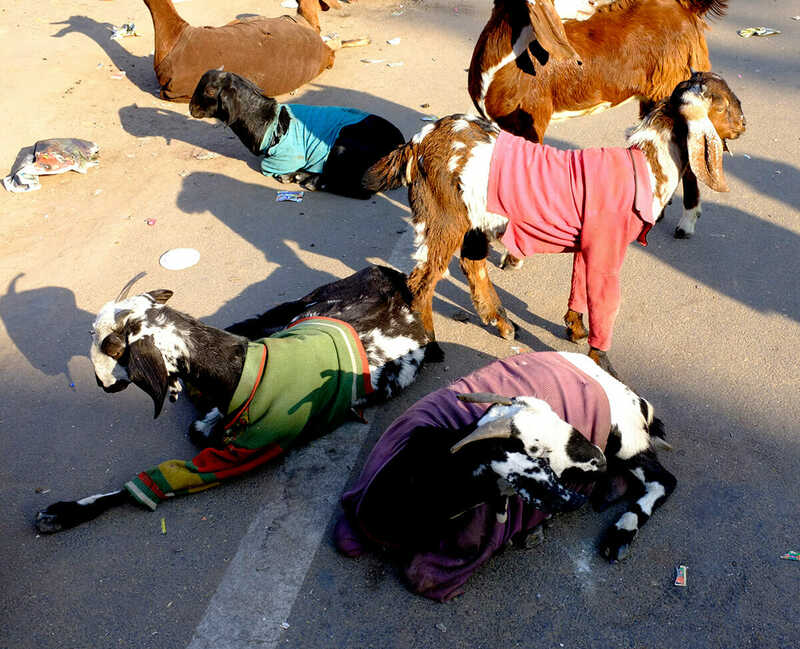 ), Gorlizki says that they are not being dressed for fun. 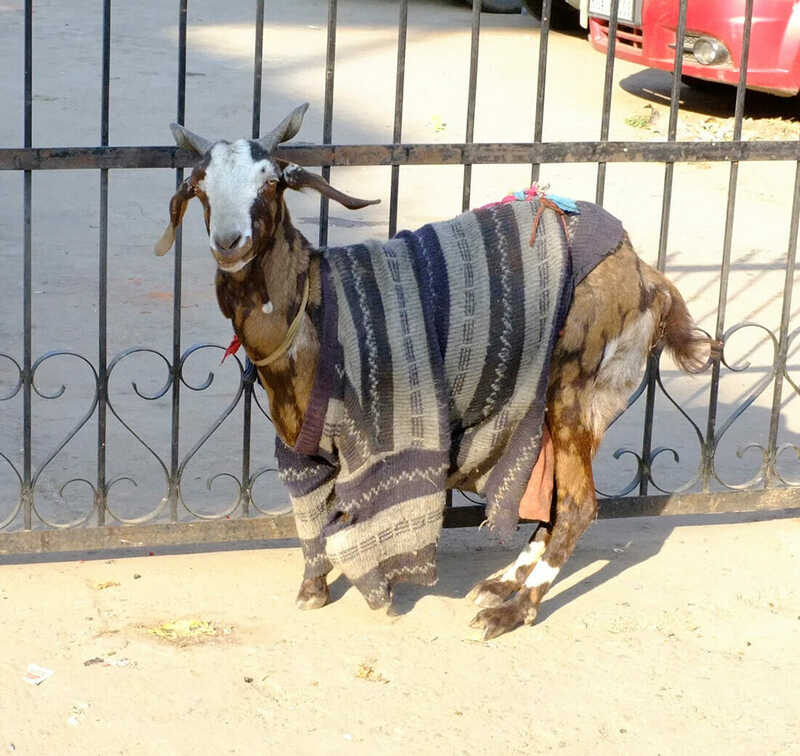 “It’s not a fashion thing,” he says. 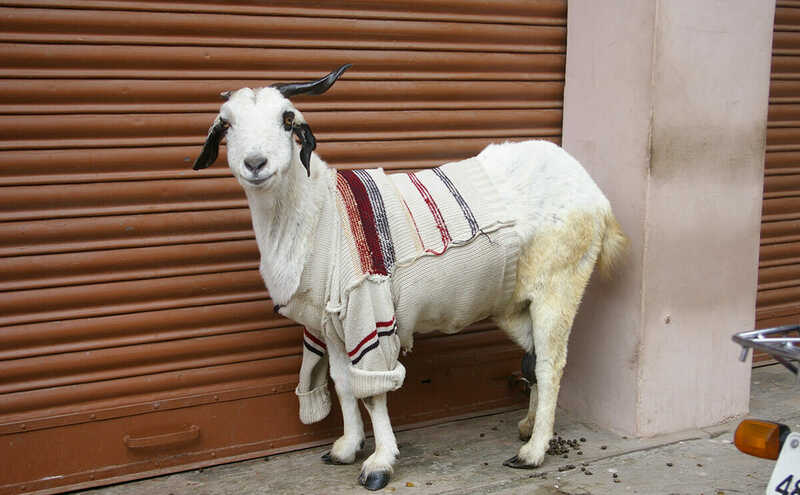 They are clothed for warmth. 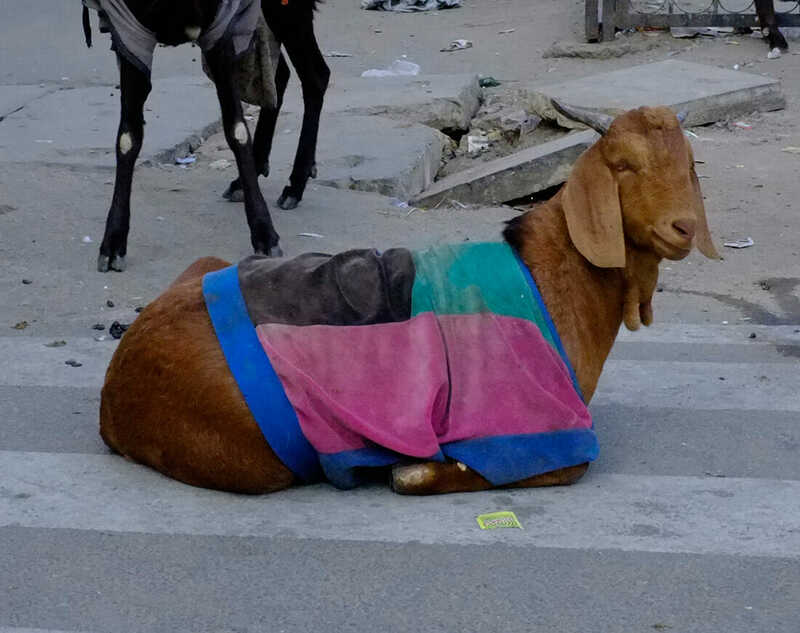 He took the bulk of these pictures in the winter time, around the time of Eid al-Adha festival, a Muslim holiday that celebrates sacrifice. 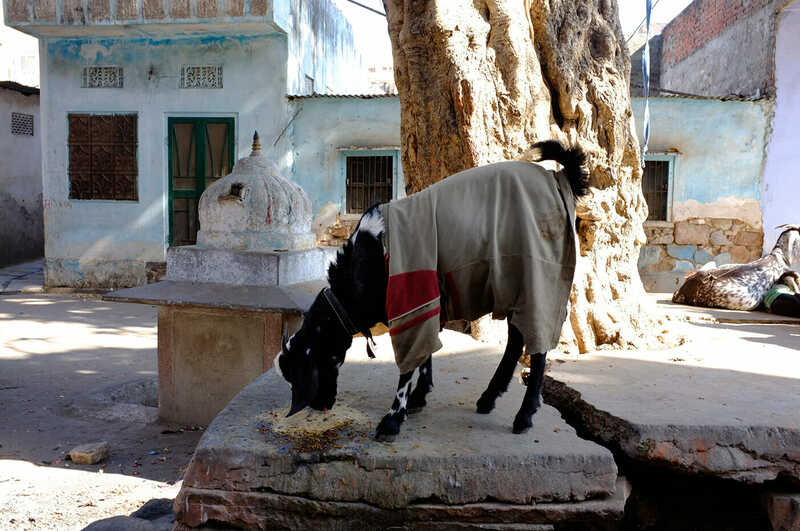 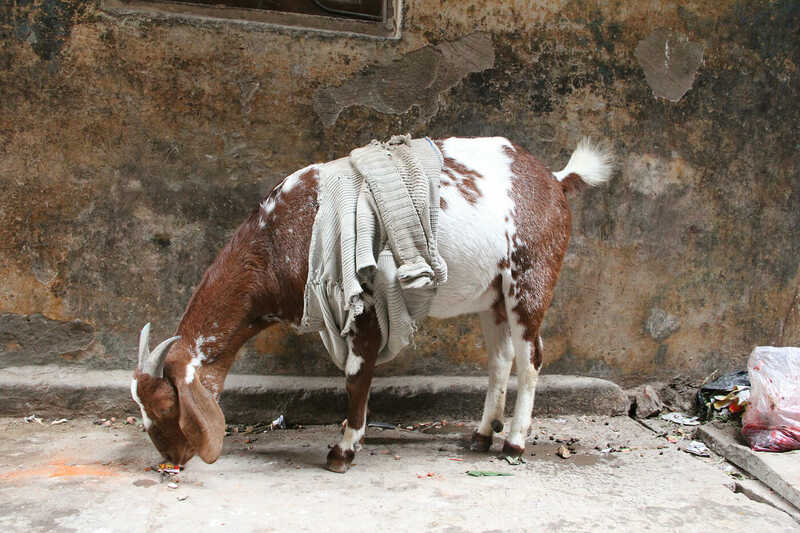 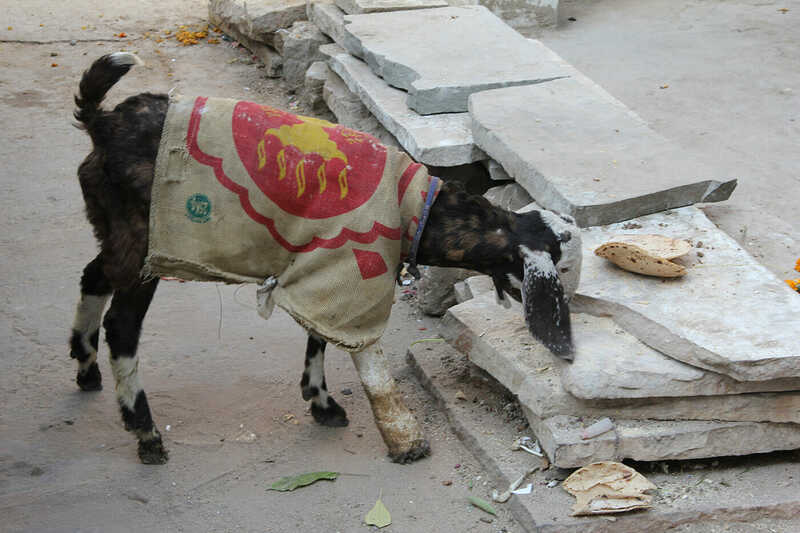 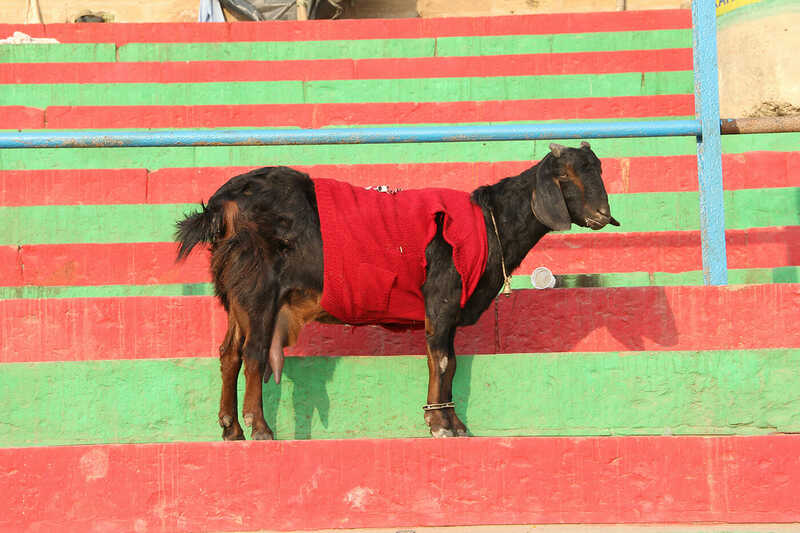 “Eid involves goats being slaughtered,” says Gorlizki, “Every family would typically buy two or three goats and distribute the meat amongst their families and the poor.” But the goats, who roam around outdoors, are not always fat enough to be comfortable. 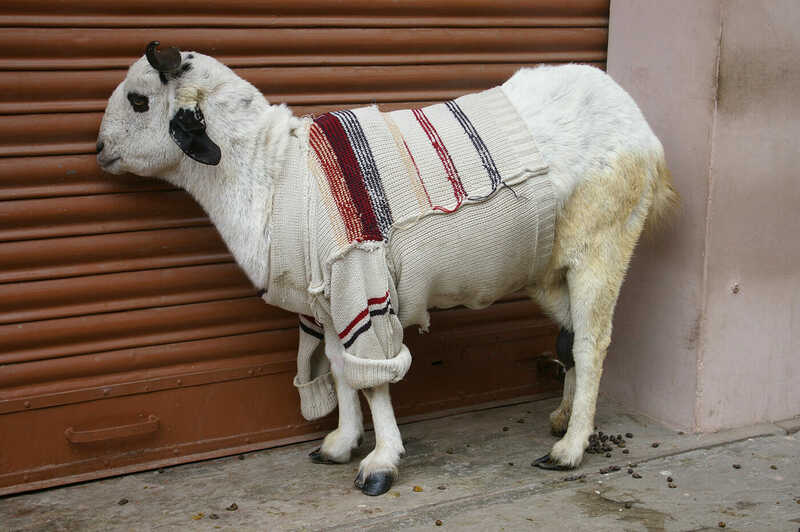 Being warm helps them maintain their weight. 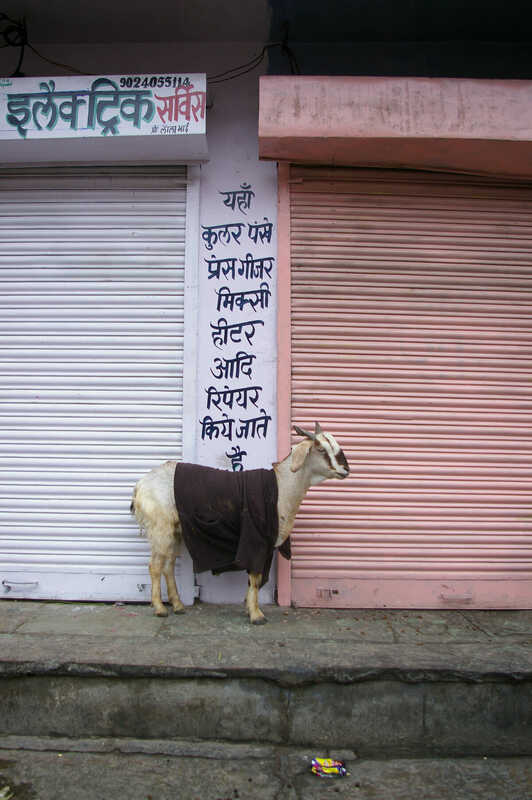 This photo series isn’t part of Gorlizki’s normal art practice – he works on Indian miniatures and other paintings. 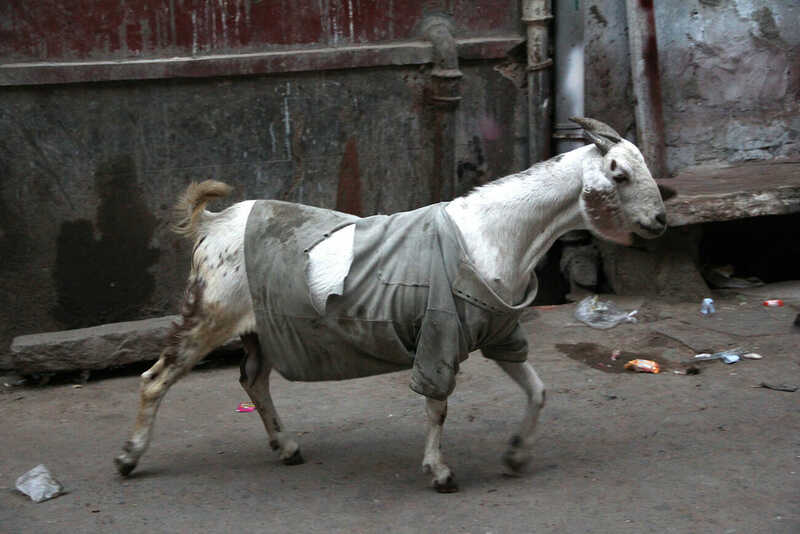 These photos are a “labor of love.” And only in one set of images did Gorlizki actually dress a goat. 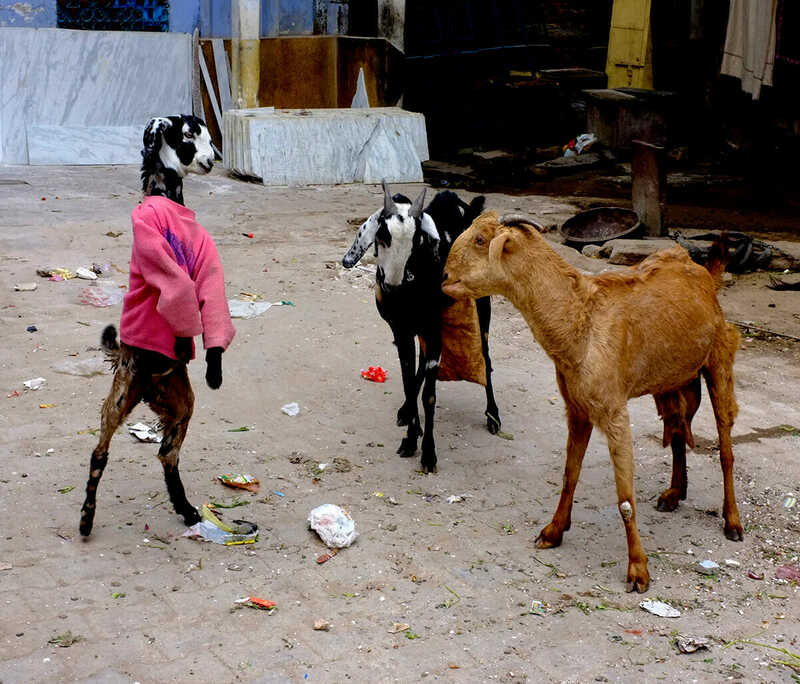 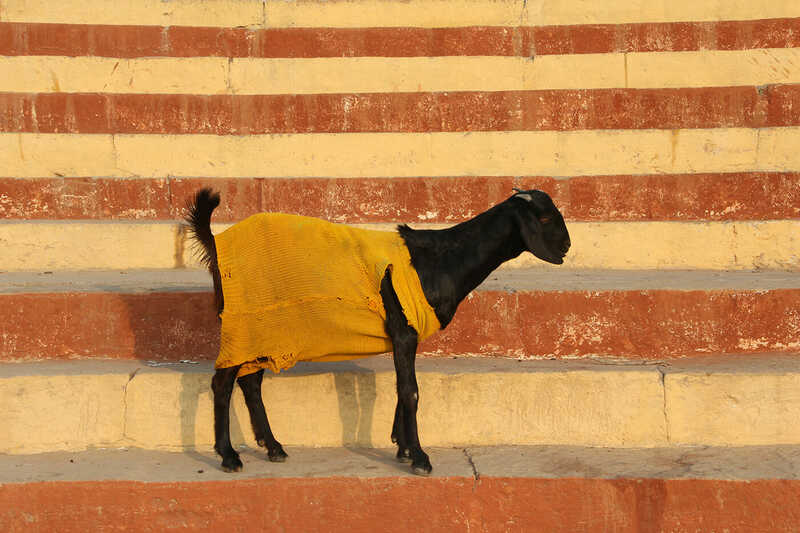 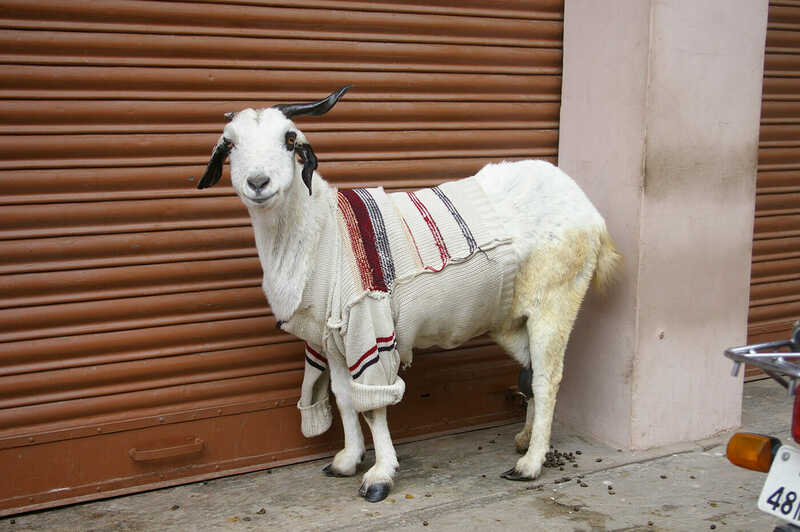 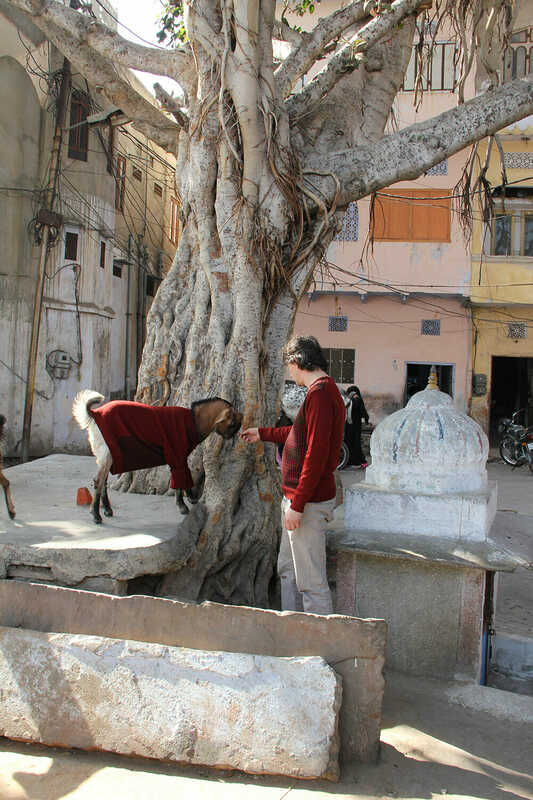 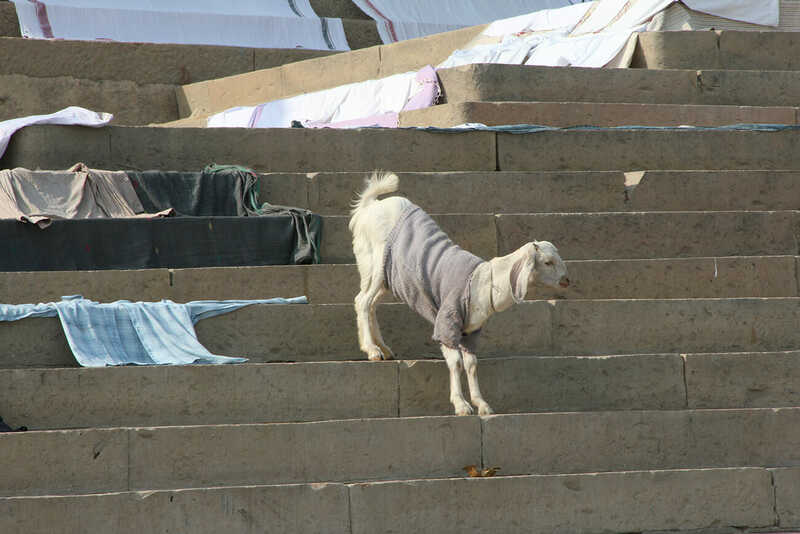 “At one point, I did buy two sweaters, one for a goat, one for me,” he says. 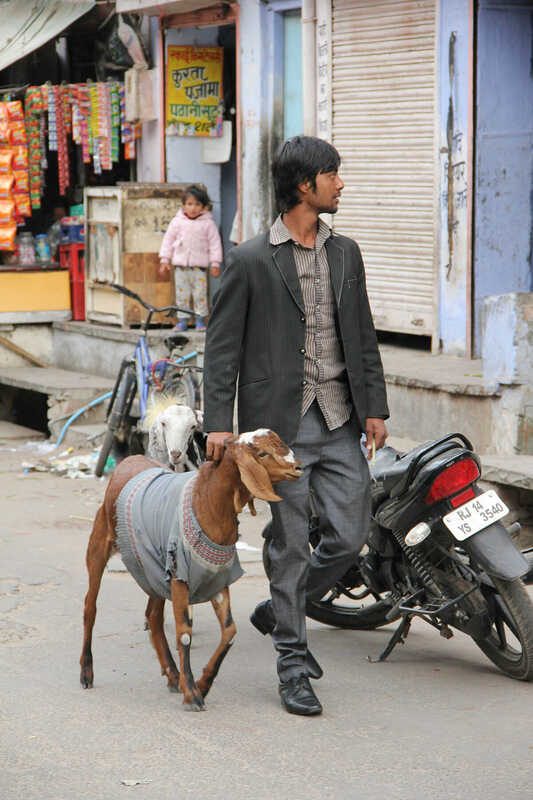 Here, Gorlizki is pictured in a fetching maroon sweater with the goat wearing a similar color.